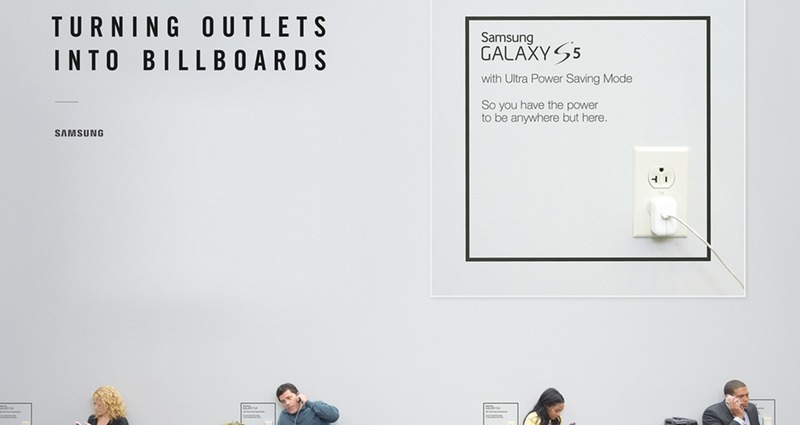 To bring Samsung's "Wall Hugger" campaign into the real world, we partnered with airports to create an entirely new media placements: electrical outlets. 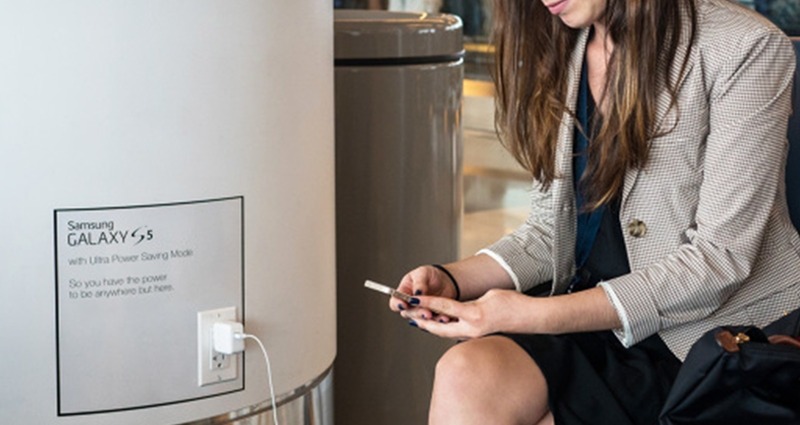 We designed custom decals to place over electrical outlets at JFK, O'Hare, LAX and other major airports. 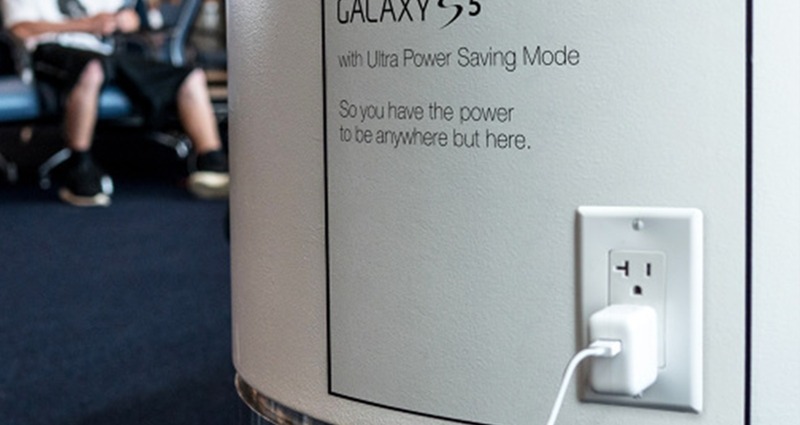 Each one intercepts people as they're charging their phone, making the simple point that with a Samsung Galaxy S5, they wouldn't be tethered to the wall. 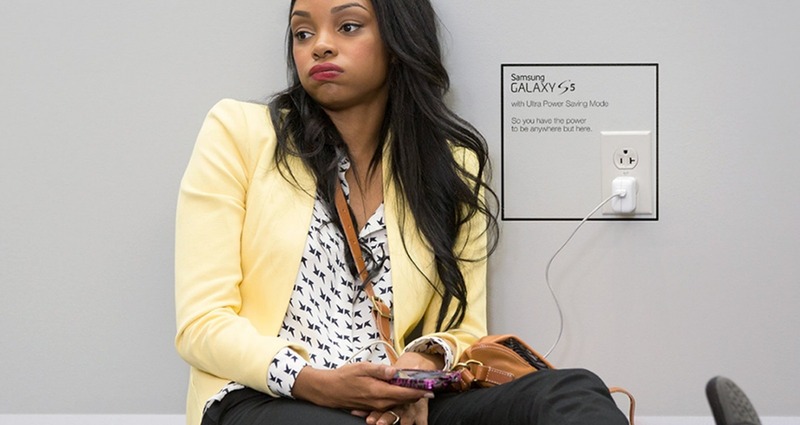 Show off the battery life of the GS5 and how it can perform better than competing devices. Accessing the media placements at airports that have never been used before. Peter Jostrand Client: Anomaly Title: Are You Better Than Our Worst?